This book is for anyone curious about the Bible: what it is, and what modern research reveals about it. Unlike most textbooks, it has no footnotes, avoids technical discussion as much as possible, and makes no assumptions about religious belief. 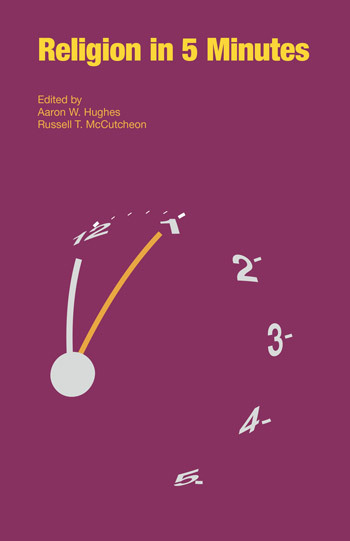 Its aim is to introduce the contents a way that engages readers critically, and to persuade them that in a modern secular society this collection of ancient writings can still contribute to the way we think about history, philosophy and politics. It is a challenge to both those who regard it as ‘word of God’ and those who dismiss it as obsolete or myth or irrelevant. Most Bible readers, perhaps, think the Bible contains truth, or some truth, about God, humans and the world, and teaches us this partly by describing the past and predicting the future and directing how we should live. Others dismiss it as containing myths, unscientific superstitions and oldfashioned ethical views that have little or no relevance to the twenty-first century. Additionally, for many people in our multicultural society the Bible has no historical or cultural value at all. Whether the Bible should play any role in a modern secular society is questionable. Should we bother to read it, let alone try and understand it? Having been at the centre of European (Western) culture for two thousand years, is it now of little relevance? Does it still help us to understand our culture or contribute to it? The first response to this challenge needs to be that in order to understand, appreciate and use the Bible, we do not have either to believe in it as the Word of God, nor reject it as upholding obsolete values like patriarchy, warfare, slavery, absolute monarchy or racism. Here, we look at the people and processes that created the individual Jewish scriptures. We start with the processes because these point us to the authors. This includes not only initial composition or collection, but copying and recopying that always involved redrafting. (Only after these writings became ‘sacred scriptures’ were they retained in a fixed form.) The frequency and extent of these re-draftings can be deduced by comparing the surviving Hebrew and Greek manuscripts and analysing their structure and language. Such processes can also be directly observed within the Dead Sea Scrolls, a collection of biblical and non-biblical Jewish manuscripts, mostly in Hebrew, dating from the third century bce to the first century ce. Among these writings we find multiple copies of the same composition preserved together, demonstrating how rapidly and frequently texts could sometimes evolve. Almost always, ‘the Bible as history’ is used to mean ‘what the Bible says really happened’. But before comparing Old Testament histories and modern histories, it is vital to bear in mind that ‘history’ can mean three things: the past, a story about the past, or the study of the past (the latter, ‘History’ with a capital H). The first of these is a popular but misleading usage: history is not ‘the past’ but rather a story about the past. No history can represent all of the past, but only excerpts within the past: periods, nations, areas or institutions. What histories do is focus on a piece of the past, but also make it meaningful by creating a narrative from it. ‘History’ is story. A more accurate title of this chapter would be ‘biblical stories of Israels’, because more than one ‘Israel’ is going to emerge. These stories also diverge from modern stories informed by historical research, but these modern stories help us to understand better not only the realities of the world in which the Old Testament emerged, but the literary, social and imaginative world that its contents have created. The land of the Old Testament runs from the Mediterranean Sea eastwards to the Jordan Valley, and from the borders of modern Syria and Lebanon as far as Egypt and the Sinai Peninsula. Ancient writers called this land many names, including part of Syria, Canaan, Retenu and Palestine. It has four geographical zones: (from west to east) the coastal plain, lowlands, highlands and the Jordan Valley. The Jordan Valley, including the Dead Sea and the lake of Galilee, is part of the Great African Rift and forms the lowest point on the earth’s surface. On a map, it may seem a major barrier but the river can in fact be crossed at may points quite easily on foot. Beyond it lies the Jordanian plateau. We have seen how ‘Israel’ is an identity with several claimants, each with its own story. In the case of the New Testament, we have a multiplicity of ‘Jesuses’. There is more than one memory of a historical figure and more than one understanding of what followers of Jesus Christ, as he becomes, should believe and do. The New Testament exposes these identities, ending in a highly vivid climax: Jesus Christ returns to defeat his enemies, gather the righteous to himself and bring creation and history to an end. The stories begin in Palestine with a Jewish teacher and healer understood by his followers as the culmination of all that the scriptures mean. They move beyond Palestine and beyond Judaism, and what begins as a confrontation with Jewish authorities ends as a confrontation with the Roman Empire. But they give only hints of the eventful history of their time and little explanation of the culture of first century ce Palestinian Judaism. The original readers, of course, did not need telling, but two thousand years later, some explanation is necessary. The books of the Old Testament are either anonymous or pseudonymous and mostly rewritten and edited more than once. They are also varied in their interests and ideas. The New Testament books are not anonymous (with the exception of the Letter to the Hebrews), but mostly pseudonymous. They all focus on the deity Jesus Christ and were written within the space of a century. The Jewish scriptures are the work of scribal schools, finally given an official authorization (probably by the Hasmonean rulers). No scribal schools or political authorities account for the growth and canonizing of the New Testament; local Christian communities (‘churches’) at first adopted their own list of books, but as these communities developed into larger organizations and hierarchies emerged, culminating with the dominance of the church in Rome, the contents of the New Testament became more widely agreed. ‘In the first book, Theophilus, I wrote about all that Jesus began to do and teach’. So Acts begins, picking up where the Gospel of Luke ends, with Jesus’s appearances to the apostles and his ascension. Jesus’s work will continue through the Holy Spirit. Jesus’s life brought him from Galilee to Jerusalem; the Spirit will lead from Jerusalem to Rome, from the Jewish capital to the imperial capital, universalizing the gospel. Acts is the only scriptural narrative we have of Christian origins, though the letters of Paul supply some autobiographical information. Its main aim is not factual history, but ‘sacred history’, like the Old Testament, and its historical reliability, which is hard to assess, is not particularly important. Luke was a companion of Paul but did not necessarily witness all that he relates. The maps of Paul’s ‘missionary journeys’ probably reflect the author’s arrangement of different pieces of information—places visited, journeys made— into a scheme, which is not always straightforward to follow (18:24-19:7 is a good example). The New Testament letters illuminate how the story of Jesus Christ became embedded in the life of Christian communities, while expectation of the return of the Christ diminished and attention was directed to living in the here and now in ways that the gospel demanded. The ethical norms encouraged here are not conspicuously out of line with Jewish ones, or even most non-Jewish ones. Solidarity is, of course, important—a requirement of threatened minorities. The attention paid in the Synoptic Gospels to Jesus’s own lifestyle perhaps betrays an increasing interest in Christian virtue: care for the poor and sick, spreading the good news, fighting evil forces in the world, resisting the temptation of Satan, suffering what must be suffered. ‘The revelation (apokalypsis) of Jesus Christ, which God … made known by sending his angel to his servant John’. This is how the book of Revelation opens, and John later describes himself as an ‘elder’ living on the island of Patmos. Though popular with several contemporary evangelical Christians, this curious book was only with difficulty accepted in the New Testament canon. The authors and readers of both the Old and the New Testaments lived in what is often called a ‘prescientific’ age, when the factors that determined much of human life—disease, famine, war, childbirth, the weather—were believed to depend on the activity of supernatural agents: gods, demons, spirits. These could be manipulated by various rites of intercession, appeasement or gratitude. The Bible’s moral teaching is actually not very remarkable. For the most part, it is typical of the values of the age in which the writers lived. It does not advocate democracy, freedom of speech or equality, whether sexual, racial, or religious. Women are subordinate, unbelievers are evil, slavery is acceptable. Its god is gracious to believers and vengeful to unbelievers, demanding obedience and even love. Like all gods, he expects sacrifice. The Bible is, with a very occasional lapse, monotheistic, and accepts that God is the source of all virtue. But the problem of evil is never definitively solved, either, and God cannot easily be acquitted of compliance. Here, we explore three ways in which ethical as well as metaphysical issues are expressed and debated in the Bible. These are law, wisdom and prayer. The ethic of the New Testament operates under a new dispensation, that of the ‘spirit’, but Christian behaviour conforms very closely to conventional Jewish morality. Two fashionable dimensions of biblical scholarship are reception and what is called vernacular or contextual reading. The first, accepting that the meaning of any text depends on the reader as well as the author and the text itself, explores how the meanings of the Bible have shifted with different political and social circumstances. Examples of major changes are the Protestant readings that followed the printing of the scriptures in vernacular languages and the political upheavals that ushered in the modern period, especially the Enlightenment. The Bible became a political tract, bringing into being the colonization of North America and the political complexion of the United States of America. More recently, feminism fomented a revolution that led to all kinds of readings against patriarchy, racism, sexual discrimination and all kinds of cultural hierarchy. These movements might well be seen as part of a growing secularism with regard to religious scriptures and religion itself, whereby biblical values are judged by contemporary social ones rather than the other way round. Over-inquisitive children are often warned that ‘curiosity killed the cat’. But children of all ages, when curious about the Bible, may safely be encouraged to explore its varied contents and growth in this readable book by a noted scholar. Itself something of a ‘curiosity box’, it both informs and challenges. This is the book I would have written had I the intelligence and skill-of-pen that Professor Davies possesses. I will require it for all of my undergraduate courses in both Old and New Testament. It is much needed, and even more appreciated. Philip Davies has bequeathed to us one last book, now published after his untimely death. The Bible for the Curious bears all the markings that have made him one of the foremost biblical scholars of the past half century – mastery of the historical and literary materials, cogent and forthright engagement with knotty problems, clarity of thought, and eminently readable prose. In this book Davies widens his field of vision to include not only the Hebrew Bible and the Dead Sea Scrolls but the New Testament as well. This fresh discussion is highly recommended for specialists and other interested readers. The importance of this last work of Davies, well illustrated with maps, charts, and photographs, is that it raises for the would-be reader of the scriptures the questions that must be asked. 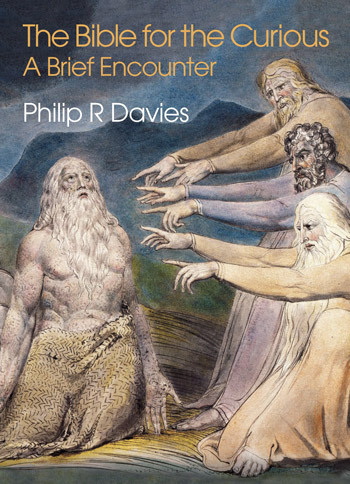 Davies does not provide all the answers, but he does open up a now sadly neglected part of our literary and spiritual heritage, and shows in a neutral but encouraging way how not merely the curious, but the serious enquirer, should embrace it.